Amanda always sets up the cutest party tables to show off her fun printables. 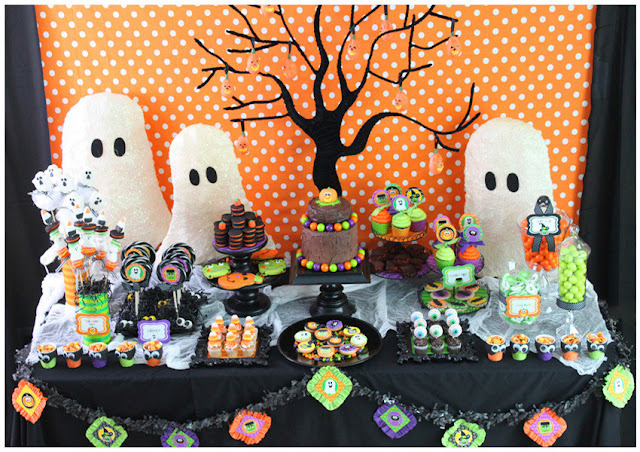 This table, displaying her fun Halloween printable set, has a ton of fun Halloween party ideas. 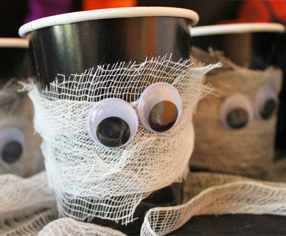 These googley eye cups will be making an appearance at my daughters preschool Halloween party. 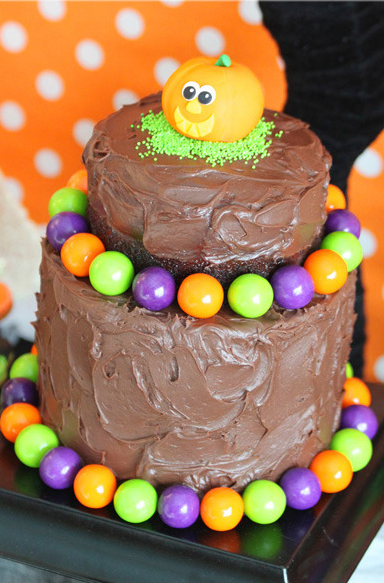 And if you are looking for a cute cake idea and aren't super handy when it comes to decorating cakes, I love how easy it would be to decorate with gumballs. 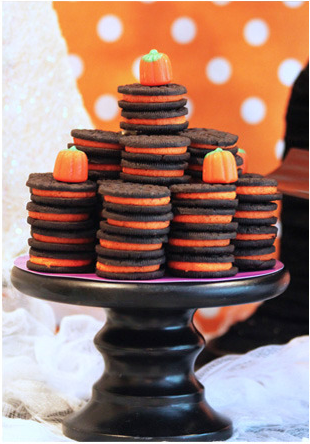 And if you don't want an actual cake you can make this Halloween Oreo cake your dessert table centerpiece. The only hard part of making this would be not eating all the Oreos while you are stacking them. 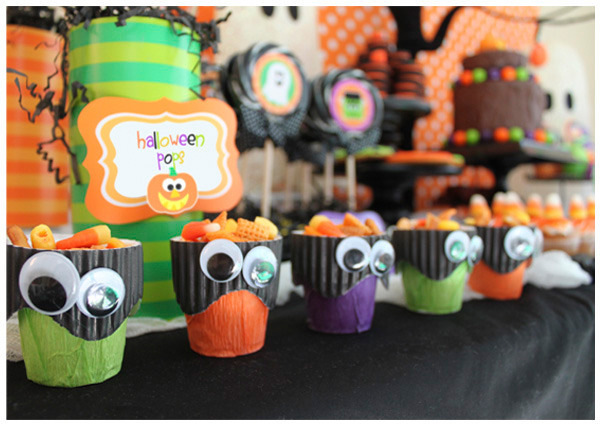 There are about a million other fun ideas for Halloween, so go see the rest of her Halloween dessert table and check out her cute Halloween printables over at Shindig Parties To Go.